Tis pretty. I like the 2D look it's got to it. And the color scheme. Thanks for sharing! whoa! this looks so great. 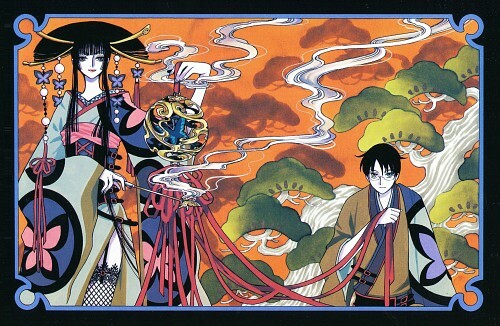 The trees look very traditional-Asian-art-inspired... GO CLAMP! Oh, wow, the colours are incredible! Beautiful, thanks for sharing! i've seen so many pics of fabulous yuuko but she looks dazzling here! I loke so much the covers of Manga... Both, Yuuko-san and Watanuki they look so great in them! The Yuko's hair style looks looks really nice. Thanks for sharing.